The hardware encrypted device is completely OS independent, so, all the encryption and decryption processes are done inside the device. This means that there's absolutely no user input that can be sniffed out on the operating system. This is the worlds first patent pending Bluetooth authentication method. Users download the mobile app (Apple App Store or Google Play Store), then create a 7-15 digit key. Once the device is paired up and the key has been added, the drive is then opened and you can transport data to and from the device. This encryption is designed to pass the FIPS 140-2 level 3 physical hardware encryption. 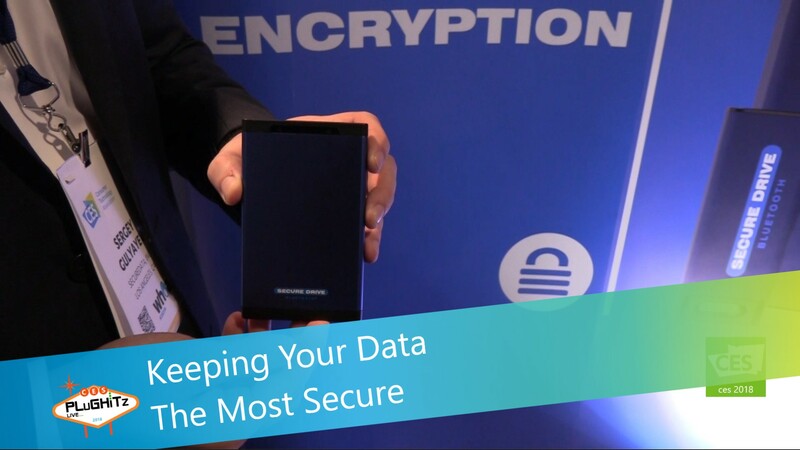 Once they have acquired that certification, the drive is the most secure drive that is on the market. Remote management options will be available on the Bluetooth series of devices. This means you can manage the device remotely. You will be able to reset, unlock or control the geofencing of the device. Therefore it won't use the IP address to verify the location, but the mobile device's properties only, and is precise up to 5 feet. You will be able to lock it to a specific location or set it to a specific dates. Also, if you lose control of the device or the data for whatever reason, it can be instantly erased using the crypto-erase command.